You can’t just say I’m grateful without showing it through a smile, gesture or posture. 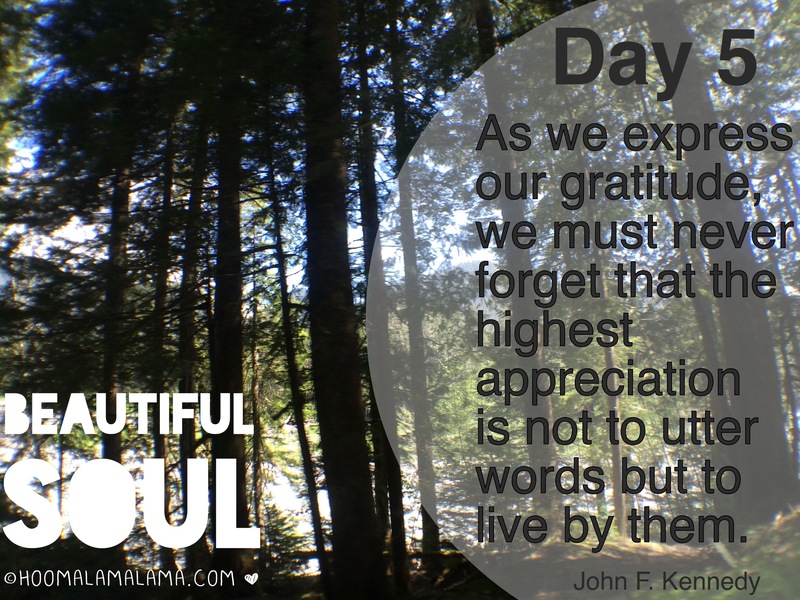 The insight into BEAUTIFUL SOUL is to live grateful. I once heard an elderly man say that he was blessed with work. Who says that? No one I know personally, in fact they’re all trying to start a side hustle (business) so they don’t have to work anymore. But here he is grateful to work. Former President, John F. Kennedy, had it right. That the highest appreciation is to live by our expression of gratitude. Did you start living out your gratitude? Foodie Fit: Why not throw in some homemade organic fruit roll-ups into your lunch. As an adult I still enjoy these! Now I can make my own. Dance Fit: Kid fit for sure! Here’s two talented youngsters leading a Zumba song and they’re awesome! 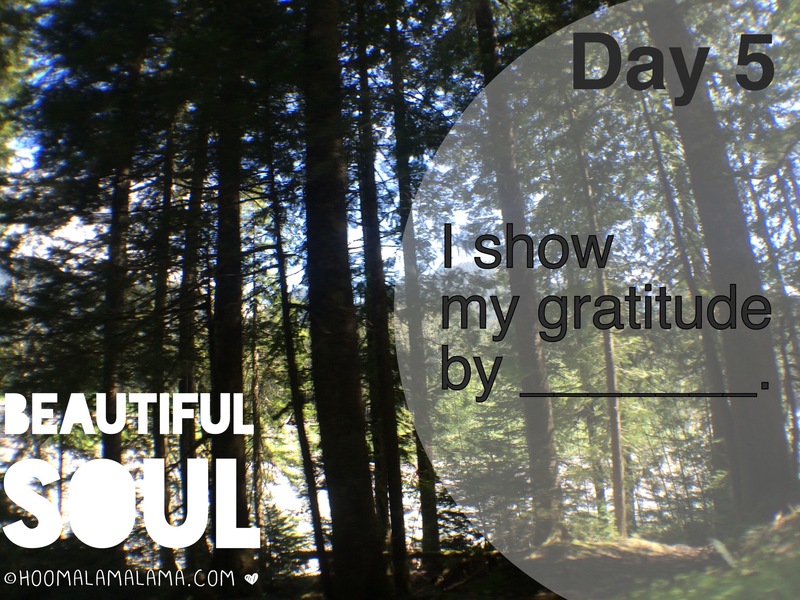 Share the BEAUTIFUL SOUL Challenge and make the world a better place, one grateful heart at a time. My mother lived by gratitude therefore I was blessed to grow with gratitude. One of the lessons she taught me early on was to treat people the way you wanted to be treated. Even though I knew what she was telling me I didn’t fully understand it at the same time because I at atone it got the best of me in the wrong way. I’m grateful today that I have clearer understanding of what gratitude is and every day I try to display it whether at work, at home or just out and about with a smile, a touch, a service or voicing a concern. I loved your explanation to the kids that’s so brilliant!! Even brilliant to share with some adults too ☺️ Last night when out at dinner with my sister, there was a couple sitting in the booth behind us and the gentlemen had on a veterans cap. My sister went up to the checkout counter secretly and payed their bill. Now she doesn’t have a ton of money but it didn’t matter. She told him thank you for serving our country and the look of love and appreciation in his face was priceless. It’s not about the money but more so it’s about the thought and gestures of it all!! Lots to be grateful for. You’re on a roll. Another way i show gratuity is doing more than supposed too. I love my job and do many things that aren’t in my job description. Usually without complaining hahah. But for real, I love my work, I love my Job, I love my bosses and know that i can be out there in the world doing just as much for way less than what i get now. Thankfulness is truly a wonderful catalyst. I show gratitude with first thanking God or love, humility and grace. Do unto others as they would do to me…so when I can smile they smile back. When I show love and grace, they show it back. And when there’s food we all EAT…LAUGH. ….AND LOVE n LIVE…. I show my gratitude by smiling more, sharing way more then I used to and trying to start a conversation in a way that will make that person feel uplifted and hopeful. I show gratitude with selfless acts of kindness, embracing others with smiles, hugs(lovin) and FOOD(food is always a great way of showing gratitude).